목포지부(지부장:박지원)는 10월 2일 실시한 ‘한⁃일 국제교류 그림그리기 대회’에서 입선했던 한국 23점 일본 24점의 그림은 1차로 10월25일~27일 전남도립도서관 1층 로비에서 전시회를 했다. 또한 2차는 롯데마트 3층에서 10월 31일~11월 6일까지, 3차는 목포문화예술화관 제1전시실에서 11월 8일~12일까지 전시했다. 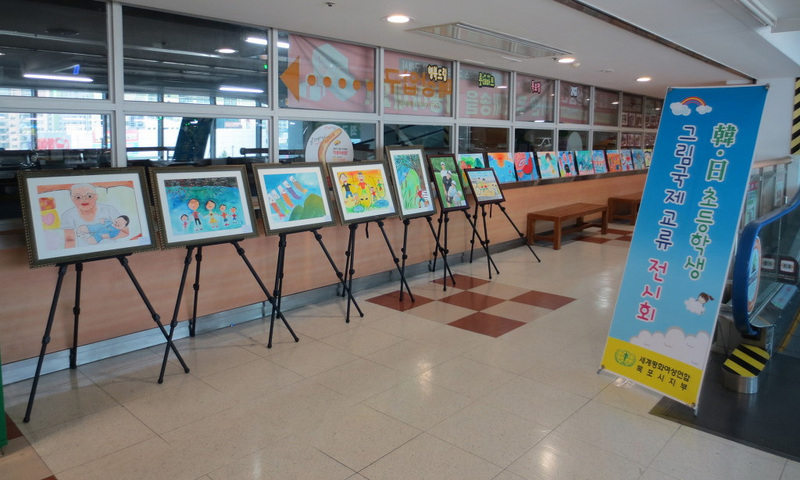 The Mokpo Branch (Branch Leader: Ji Won Park) held the ‘Korea-Japan International Exchange Drawing Competition’ on October 2, and the 23 drawings from Korea and the 24 drawings from Japan that won awards in the competition were exhibited for the first time in the first floor lobby of the South Jeolla Provincial Library from October 25 to 27. 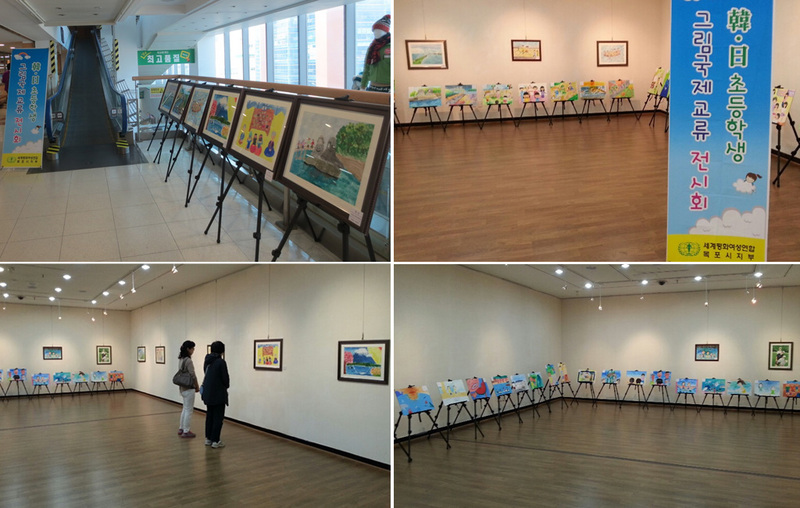 The drawings were then exhibited for the second time from October 31 to November 6 on the third floor of Lotte Mart, and again, for the third time, at the First Exhibition Hall of the Mokpo Cultural Art Hall from November 8 to 12.